“What’s so special about this pseudo-random number generator? Wyatt loves watching Tobuscus and his videos – this is his first video online. One of Tobuscus more popular videos. Learn to program for free – and with much fun. I am currently reading and enjoying this book. It is helping ease my Rails app deployment. Really well organized and I finally feel good about my hosting of the apps I make. Today’s modern Rails applications have lots of moving parts. Make sure your next production deployment goes smoothly with this hands-on book, which guides you through the entire production process. You’ll set up scripts to install and configure all the software your servers need, including your application code. Once you’re in production, you’ll learn how to set up systems to monitor your application’s health, gather metrics so you can stop problems before they start, and fix things when they go wrong. This MIT progject allows anyone to start playing with programing, and. 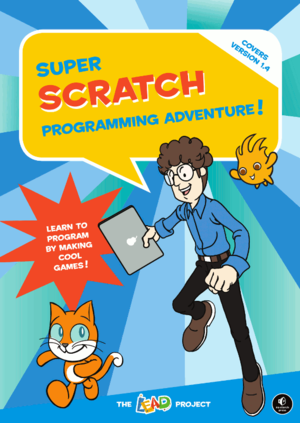 Wyatt is currently reading this book and learning to program games.